In the last half of the century, a diplomatic posting in Belgrade was considered to be a prize - either a reward for years of faithful service or a stepping stone to something greater. Crushed by international sanctions, embroiled in the wars in neighboring countries, the capital of Serbia suddenly became a place of great exodus, the diplomatic corps not excluded. Enter the packers, teams of young men and women who were assigned to pack up and ship out the lives of the embassy staffs. Beneath the banner "We move things", they boxed and packaged other people's things while they also packed away their own hopes and dreams. 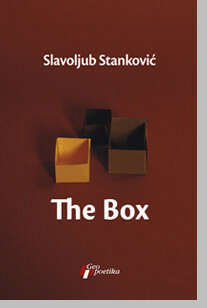 The Box is a rollicking urban novel about the last rock-n-roll generation of Serbia, a generation faced with the heartrending question of staying home or leaving, a generation jousting with the perplexities of economic collapse, military conscription, and lost rites if passage. Intertwined with a subtle theme about the importance of packaging - whether on a national scale or a personal one - the story follows the fates of the packers, ordinary people surviving in extraordinary times. After all, they were the ones who not only decided "what stays and what goes" but ultimately "who stays and who goes".